Hah! The sticky is a good one. 8) M Yes, thanks for the suggestion. I'm always hesitant to have too many stickies, because I hate going to a user forum that has twenty READ THIS FIRST sticky topics, but this one should come in handy. Edited to add: haven't had a Windows Enhancements one in a while! See if this post helps: https://forums.acoustica.com/bbs/viewtopic.php?f=4&t=24566. Thanks for coming back to let me know that helped. That option should only be used if the ASIO device isn't working at all. Go into Mixcraft's Sound Device preferences and see if you have "Use Device's Preferred Settings" selected. If you do, turn that off and restart Mixcraft. Go into Mixcraft's Sound Device preferences and turn off the option "Use Device's Preferred Settings" if you have that selected. If that's not the solution, seeing your log file might be helpful. This error message is a feature, not a bug. It keeps you from using Mixcraft when files are corrupted or mismatched, preventing loss of work. 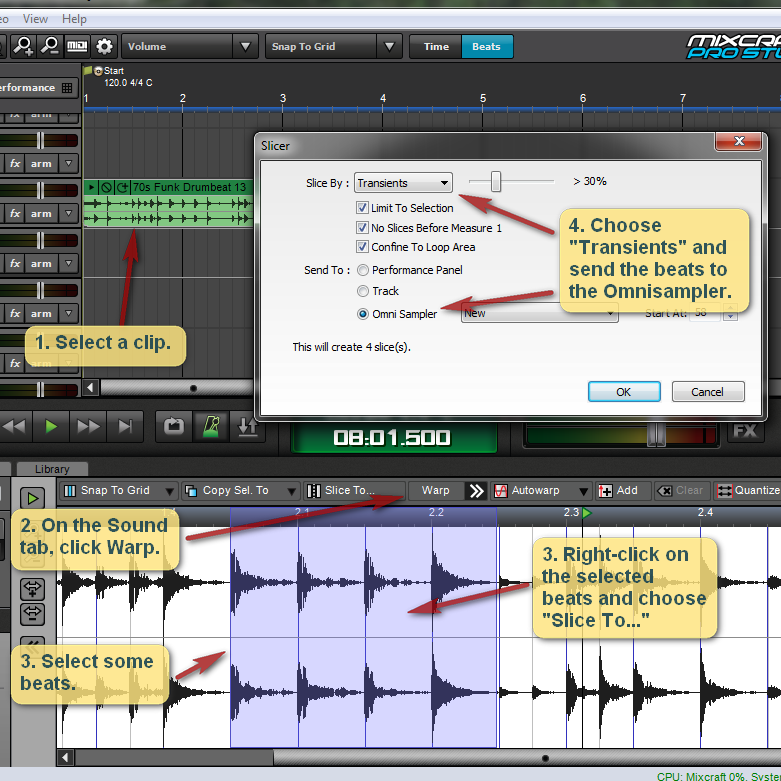 Have you been customizing your Mixcraft files? This problem is more common with imported .mid files. If that turns out not to be the issue, send us a project file that illustrates the problem. Are you using Mixcraft v8.1 build 418? What do you mean when you say the tempo slows down? Does it start at normal tempo and then slow down? Do you have track markers in the project? That's right, if you've got unwanted CC commands in there, you can right-click and select "Delete All Controllers." Both Bank Select and Program Change are capable of switching the virtual instrument on you.